For those seeking the most exclusive real estate, Luxury Big Island’s Harold Clarke, has the keys to the most highly coveted real estate on the Big Island with his knowledge of the territory and the most extensive portfolio out of all brokers on the island. We invite you to take a deeper look inside this brand new Hualalai Resort property. After all, the best part of getting away from it all is being able to afford to not have to go back. 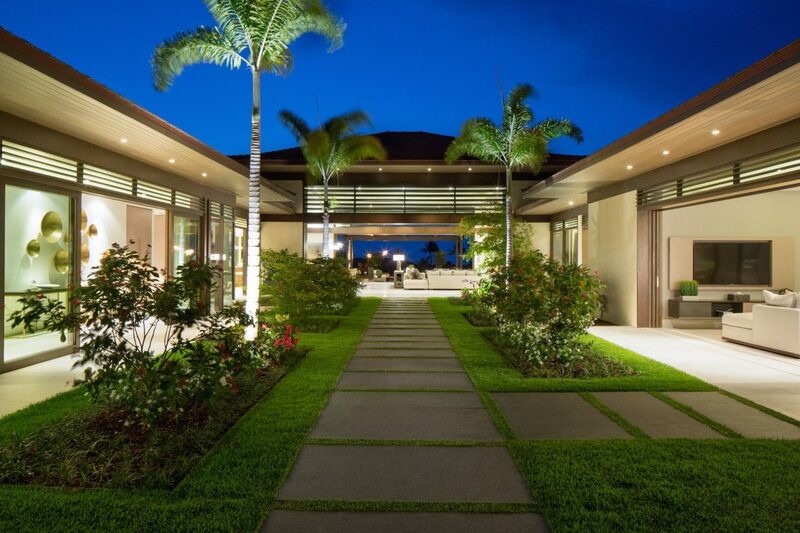 This 6,402 square foot property sits on over 34,000 square feet of lush Hawaiian land. Strategically designed for utmost privacy but also in close proximity to prime Big Island destinations, make this a rare and greatly desired residence amongst the world’s most affluent individuals. 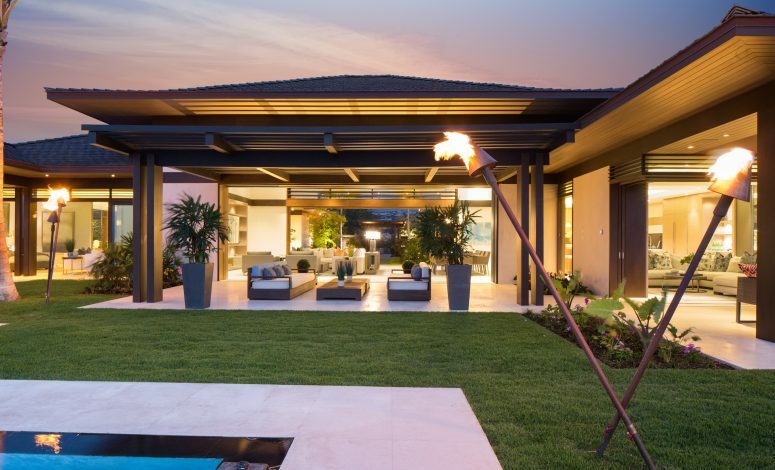 The unique craftsmanship of this residence elegantly integrates Hawaiian landscape with architecture into a home worthy of being called a true work of art. Experience the luxury of choosing pure tranquility for a day of relaxation or from a wide variety of amenities for an adventure filled day. This prestigious Hualalai address is the idyllic home so many dream of yet few have the opportunity to actually make their reality. Bask in the natural lighting of the elegant architecture with 24 foot ceilings and integrated glass for a modern day feel. Or perhaps, treat yourself to your very own climate-controlled wine room for 700+ bottles with Fond du Lac limestone wall after a relaxing day of unwinding in your infinity-edge salt water pool. Created with both family and their guests in mind, each bedroom is complete with Blu Bathworks fixtures and gorgeous landscaped private walk-out shower gardens to really become one with your surroundings. Prime Location in the famous Four Seasons Hualalai Resort. Hualalai Resort reached a new milestone on September 2016: 20 years of excellence as one of the world’s most acclaimed luxury residential resorts. Unique Craftsmanship by Vancouver based OpenSpace architecture. This residence combines contemporary open-concept living with a luxurious modern day feel. Luxury Features are in abundance throughout the elegant home. Enjoy an infinity-edge salt water pool with in-water lounge area, an oversized spa, custom-made iron drive was entry gates, floor to ceiling windows to maximize natural light and so many other features that will captivate you. Hawaii Inspired Natural Elements such as avocado, grapefruit and lemon trees throughout the property. Breath-Taking Views of paradise every day. Take in views of the ocean, sunset and the Jack Nicklaus golf course. Our success is created through strong relationships of mutual trust and understanding to create a true luxury experience unlike no other. Our hands-on approach with a tight knit closely working team, ensures a tailored experience to find the island paradise you seek. Connect with us today to find the most exquisite homes located in this land of unparalleled beauty.